Located in Indianapolis, The Law Offices of Courtney Campbell gives individuals, families and businesses the legal representation they need in today's global community. We unite families working through the immigration process, help Indiana businesses secure foreign talent to expand their horizons and represent businesses through their formation and operation. Immigration may seem like a simple process, but any mistake could result in significant delays, fees or even a denial of your application. Having an attorney by your side throughout the process is the best way to ensure you unite your family as quickly as possible. Attorney Courtney Campbell has extensive knowledge of the immigration system, and employs creative solutions to help you bring your family together and achieve the long-term goal of permanent residence. In addition to family immigration, Courtney Campbell is a talented business immigration lawyer, helping businesses secure the foreign talent they need to remain competitive in today's market. We explore the options available to businesses for their employees' immigration, and represent them through the process of safely bringing these employees into the country. 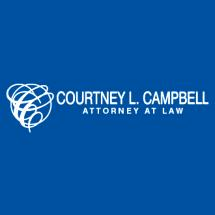 The Law Offices of Courtney Campbell also represents businesses from formation through their operations. Our law firm promotes a lasting working relationship with local businesses, offering the thorough counsel they need to achieve their long-term goals. Whether you are seeking immigration or business law representation, The Law Offices of Courtney Campbell works hard to bring people together and further our community. Contact us today to get started with your case.